Bloch, Yigal. 2018. Alphabet scribes in the land of cuneiform: sepiru professionals in Mesopotamia in the neo-Babylonian and Achaemenid periods (Gorgias Studies in the Ancient Near East 11). Piscataway, NJ, USA: Gorgias Press. This book discusses the alphabetic scribes (sēpiru) mentioned in Mesopotamian documents of the Neo-Babylonian and Achaemenid periods – specifically, of the 6th-5th centuries bce. The period in question saw a wide diffusion of writing in the Northwest Semitic alphabetic script – mostly in Aramaic – in Mesopotamia; yet, alphabetic texts were normally written in ink on perishable materials and did not survive to be discovered by modern archaeologists. In contrast, cuneiform tablets written on clay have been found in large numbers, and they document different aspects of the alphabetic scribes’ activities. 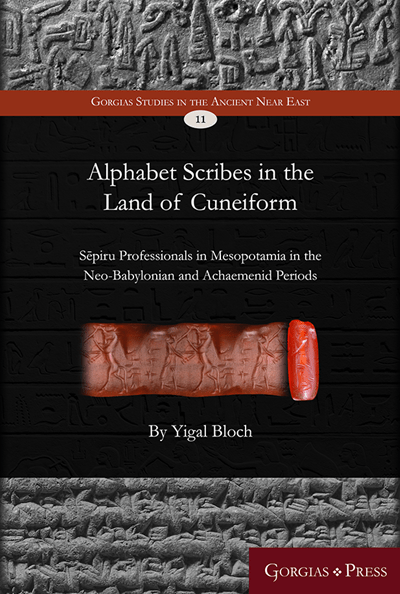 This book presents evidence for understanding the Akkadian term sēpiru as a designation for an alphabetic scribe and discusses the functions of these professionals in different administrative and economic spheres. It further considers the question of the ethnic origins of the alphabetic scribes in Mesopotamia, with special attention to the participation of Judeans in Babylonia in this profession. Bloch also provides translations of over 100 cuneiform documents of economic, legal and administrative content. Doroodi, Mojtaba & Farrokh Hajiani. 2018. Revisiting the location of Pṛga in the Behistun inscription on the basis of its etymology and an examination of historico-geographical texts. The Journal of Indo-European Studies 46 (3-4), 265–289. A multitude of geographical names are referred to in the Behistun Inscription. Despite the fact that scholars have put considerable effort in locating the current sites of many of these places, there is a shroud of mystery hanging over some. A mountain called Parga, the battlefield of King Darius with Vahyazdāta, is one of them. Some researchers have identified it with Forg District which seems to be an erroneous assumption. This study, while convincingly refuting the aforementioned assumption, tries to propound and prove a new idea as regards the whereabouts of Prga. In reaching this goal, the authors have benefited from etymological and historical evidence and have examined the original inscription in Old Persian, Elamite, Babylonian, and Aramaic. The results of this study indicate that what is now called Shahrak-e Abarj in the Marvdasht Plain could be the real location of Prga referred to in the Behistun Inscription. Wijnsma, Uzume. 2018. The worst revolt of the Bisitun crisis: A chronological reconstruction of the Egyptian revolt under Petubastis IV. Journal of Near Eastern Studies 77 (2), 157–173. Kolb, Anne (ed.). 2018. Literacy in ancient everyday life. Berlin ; Boston: Walter de Gruyter. The purpose of the conference proceedings is to investigate the importance of literacy in the daily lives of ancient people. In addition to the intended utilization of writing and written material, the circumstances of usage as well as various types of users are the focus of the analyzes. The concept of a diversified literacy of different levels of literacy, literacy and numeracy makes it possible to differentiate the usage of everyday writing according to types or categories of uses and to recognize different functions of literacy. The contribution aims at pointing out the impact of language(s) and writing system(s), not least of Elamite, Old Persian and Aramaic, in Teispid-Achaemenid Iran in the context of royal pronouncements and administration, and at putting them in relation to those of the neighbouring cultures. In this context, it is also trying to find out which forms of language acquisition and communication can be proven and whether there has been such a thing as a Persian language policy. On the other hand, the fact that Iran has seen decidingly oral cultures up to Late Antiquity and even beyond, apart from the official contexts, raises the question of the media of communication and the afterlife of Teispids and Achaemenids in Iran’s ‘historical’ traditions. 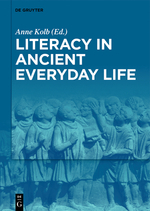 The article examines the place of female literacy within general everyday literacy in the Achaemenid period. Whereas the Achaemenid heartland lacks of sources written by women, we have abundant private correspondence from the other satrapies of the empire (Babylonia, Egypt, Bactria etc.). Therefore the lacuna from the Persis-region is not coincidental but resulting from the specific social structure of the empire with its dominant hegemonic manliness. This prevented a wider spread of literacy and the Achaemenid heartland remained an orally dominated culture with a functional literacy limited to the elite and higher levels of society. Kleber, Kristin. 2018. Dependent Labor and Status in the Neo-Babylonian and Achaemenid Periods. In Agnès Garcia-Ventura (ed. ), What’s in a name? Terminology related to work force and job categories in the ancient Near East, 441-465, Münster: Ugarit-Verlag. The article gives an overview of terms for workers, servile dependents and juridical statuses in Babylonia in the first millennium BC with a focus on the Neo-Babylonian and Achaemenid periods (ca. 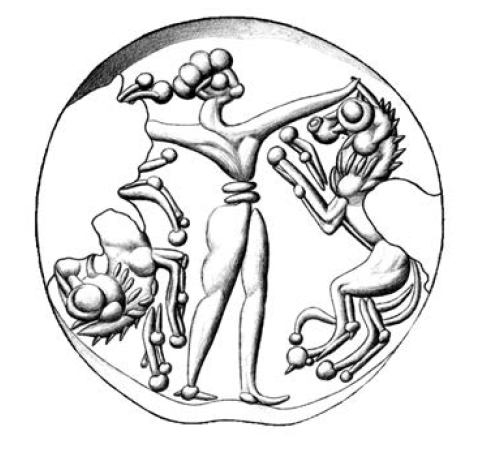 620 – 330 BC).